This is The Sims 3 World Adventures French double bed for The Sims 2. 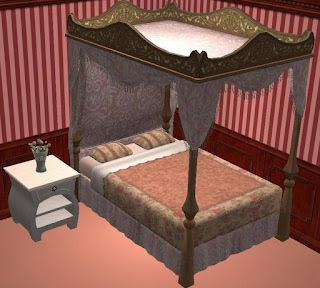 The bedding is repository linked to Maxis, so all Maxis bedding recolors and and custom bedding recolors you have in your downloads folder will show up in this as well. Enjoy! This download seems to be missing, any chance you could re-upload it? Got the file fine, thanks!